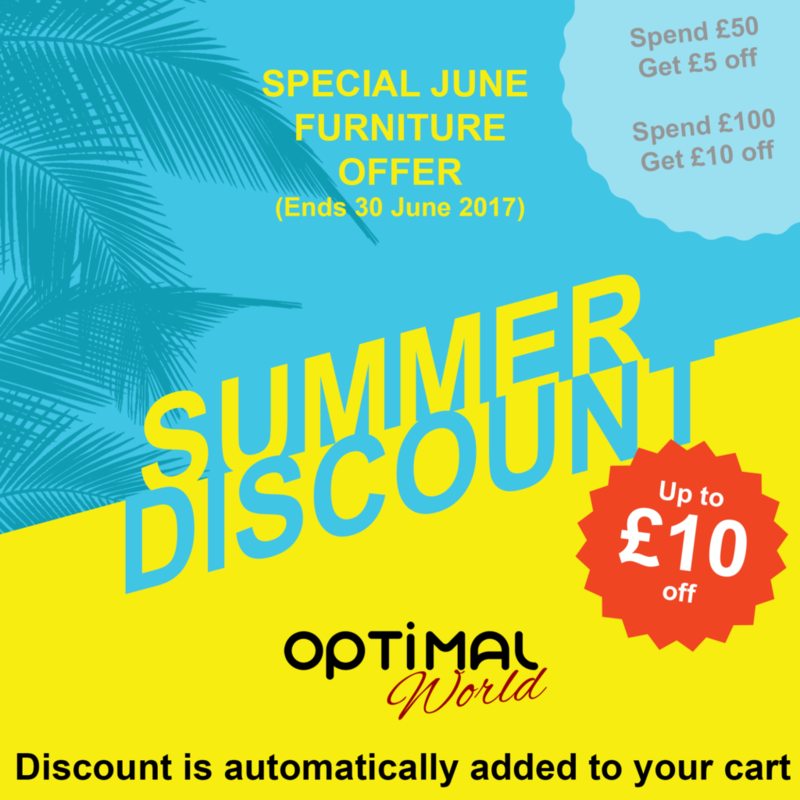 It’s time for more offers from Optimal World Furniture! For the whole of June (until 30th June 2017) get a £5 discount automatically added to your trolley when you spend just £50 or more. Spend £100 or more and get £10 off. With massive savings on some of the best furniture in store, take a wander around our world. Optimal World.